The British Isles have been the flowering place for a disproportionate number of breeds that we know today. Even given the US ties to Britain, which might have predisposed early settlers to favor dogs from there, as the years have gone on and more breeds have been introduced from once-exotic places, it must be noted that the cluster of islands off the northwest coast of Europe has proven to be especially rich soil for the development of dogs. This is especially true for the group of dogs known as Terriers. Among the thirty breeds currently recognized by the American Kennel Club, only four have an origin other than the British Isles! That means that as writers who set our novels in England, Scotland, Wales, and Ireland, we have a wide selection of dog breeds to use. However, one caution: until around the middle of the nineteenth century, people did not think of specific breeds of dogs in the same way we do today. Previous to and during the Regency, dogs were bred more for function that to maintain a pure strain. 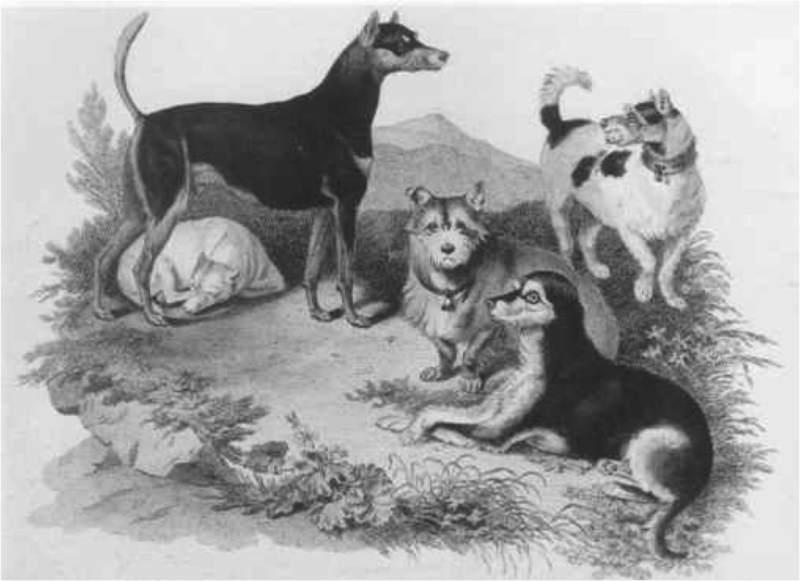 Though a number of breeds had been bred “true” – to a conformation and behavioral type – these were more likely to be dogs whose function benefited the aristocracy, such as Foxhounds, Greyhounds, and Sporting or Gun dogs. Paintings of the time show that these dogs could easily be compared with their counterparts today. However, the more lowly, working breeds, such as herding dogs, were not uniform in type until later in the century. Terriers also ranked mostly as “dogs of the people.” People of all ranks owned Terriers. They were literally the “in the trenches” fighters against the most populous and harmful of humankind’s enemies. And they were the “dog of all work” – guarding the homestead, tending flocks, hunting rabbits and other small game – for the family who couldn’t afford to keep a separate dog for every purpose. As well, the larger landholder frequently used Terriers as an adjunct to his other dogs. They accompanied the Foxhounds on the hunt, Gundogs on a shoot. And a few lucky terriers did end up becoming pampered pets. Because of their smaller size, they could be easily fitted into a house and live a life of leisure, their only work to serve as companions to their masters and mistresses. So, when I needed my secondary heroine to adopt a stray dog in my story, The Lady Protests, a Terrier seemed to be a perfect choice. I could easily see it having gotten lost from a careless, or perhaps even abusive master, and it wasn’t too large to conveniently (or not so conveniently, in this case!) travel with the heroine in a coach. But, I never named his breed in the story, only describing his brown coat color and shagginess. And, yes, this painting came from well past our era. It’s hard to find images of Terriers earlier in the century. What follows are some from the late eighteenth century to around 1830. This is a good representation of Terrier breeds one could have seen early in the nineteenth century. The smooth-coated dog on the left was a Smooth Black-and-Tan Terrier. The breed name was later changed to Manchester Terrier; it also became an ancestor in other breeds. Sleeping underneath him is a White English Terrier, which also was an important ingredient in several breeds, but which is now extinct. In the center, by my guess, is an example of the old Scotch Terrier, from which all the Scottish terrier breeds descended; or it could be an early Norwich Terrier. At back on the right, I believe, is an early Wire Fox Terrier. And in the foreground is a Wire Black-and-Tan Terrier, or early Welsh Terrier. Warning: some of the following paintings may offend our modern-day sensibilities! Billy, the rat-killing terrier. 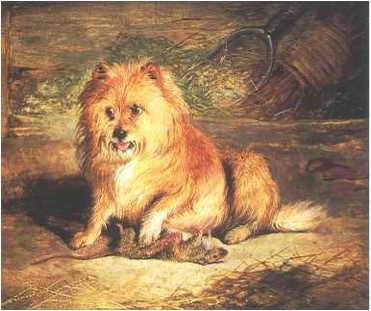 Coloured engraving from The Kennel Club’s Art Collection Catalogue. Note: The Kennel Club is the English equivalent of the American Kennel Club, the chief registry for purebred dogs in the country. The caption states: “The Phenomenon of the Canine Race, and Superior Vermin killer of his day having killed nearly 4,000 rats in about Seven Hours.” From a broadsheet for the Westminster Pit in March 1825. 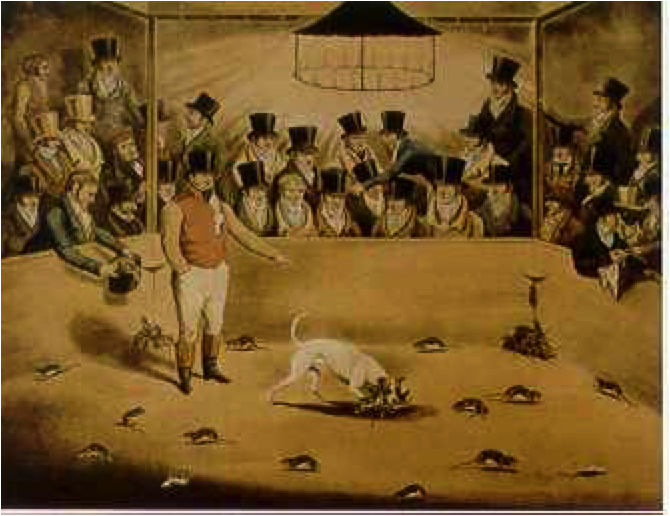 Rat Terrier in an Interior, 19th Century, English School. Oil on panel. Private Collection. DOG PAINTING: The European Breeds, William Secord, 2000. Secord says: Many of the early Terriers evolved from what was known as the English Black-and-tan Terrier (now called the English Toy Terrier), a rough-coated little dog noted for its ability to catch vermin. This one is depicted in a barn-like interior, where his abilities would have been very much needed. Here’s an image of a very young Princess (later Queen) Victoria. It’s not the best quality, and the little black dog at the left is hard to see, but it’s from not much past our time. Victoria was an avid lover of dogs, and owned many breeds in her lifetime, often leading to a huge bump in the popularity of a particular breed. Young Victoria With Nellie, Her Black and Tan Terrier, 1830, Richard Westall. Oil on canvas. Collection: Her Majesty the Queen. DOG PAINTING, 1840-1940, William Secord, 1992. Later in the century, this breed would be renamed the Manchester Terrier, with standard and toy varieties. Secord notes that Westall was known mostly as a watercolourist and book illustrator who exhibited actively at the Royal Academy, and the drawing master to Princess Victoria. Nellie was one of Victoria’s first dogs; she showed her love of animals early. Viper, by Sartorius, 1796. Catalogue, temporary exhibit of The Kennel Club Art Gallery. A very early image of a Smooth Fox Terrier. The painting may not be that anatomically correct; the head looks very small for the size of its body. 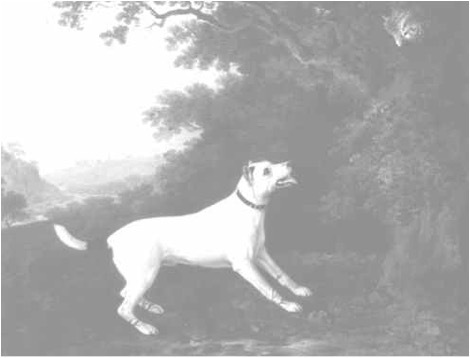 Smooth Fox Terrier, c. 1790, John Boultbee. Oil on canvas. Private Collection. Photography by Grant Taylor. DOG PAINTING, 1840-1940, William Secord, 1992. 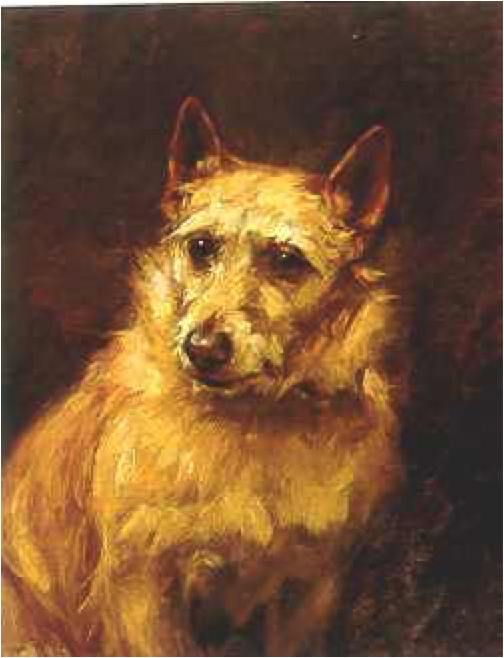 Secord says: Reputed to be the first known painting of a Smooth Fox Terrier, this painting is typical of the work of Boultbee. Influenced by the paintings of George Stubbs, Boultbee was known as a horse and animal painter with a highly finished, polished style. 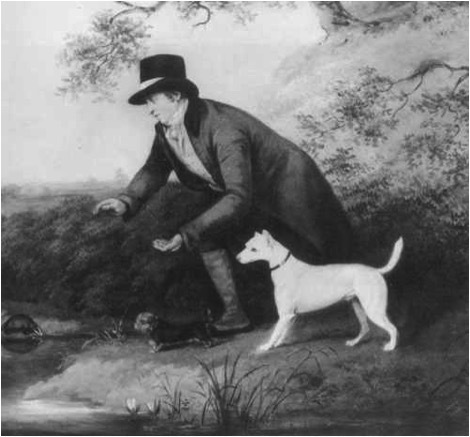 Secord’s caption reads: The now extinct White English Terrier and other early Terriers were often used to catch foxes and badgers, the latter being seen in the left middleground of this painting. Notice the small size of the little dog at the sportsman’s foot, a Terrier of unknown origin. I think the smaller dog in the painting could be a Waterside Terrier, an early ancestor of the Yorkshire Terrier, or a small rough-coated Black-and-Tan. Vixen, 1824, Edwin Henry Landseer. Oil on panel. Collection Ruth Havemeyer Norwood. DOG PAINTING: The European Breeds, William Secord, 2000. 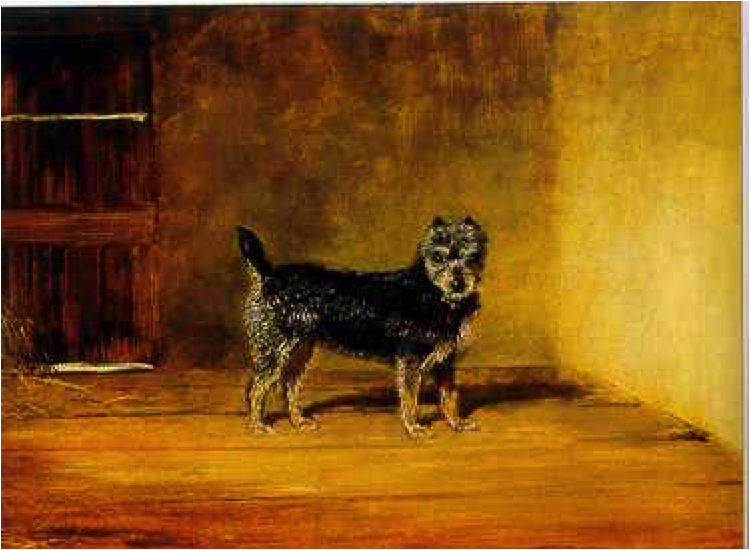 About this painting, Secord says: Described as a ‘thorough-bred Scotch Terrier’, a pet of Mrs. W.W. Simpson, this painting was published in 1824 in a sporting magazine with twenty lines of descriptive text. 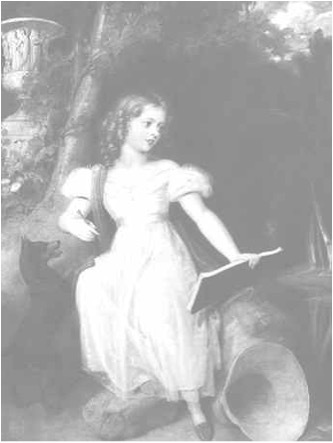 It was later etched by Jessica Landseer, the artist’s sister. Very small in scale, the painting was completed when the artist was only twenty-two years old. Landseer was a noted painter of dogs, a favorite artist of Queen Victoria, painting many of her pets through the years. Note that, although the caption says Vixen is a pet, it still is living up to the terrier reputation as a killer of vermin. The short-legged terriers of Scotland are now recognized as the Scottish, Skye, Cairn, Dandie Dinmont, and West Highland White Terriers. All undoubtedly descend from the same roots. All of these dogs were valued as intrepid hunters of small game. Originally, their coat colors ranged from black to red to cream or white. There does not seem to be any consensus as to how the five breeds evolved. Information I found led me around in a circle. 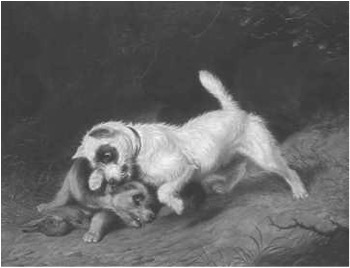 Terriers Fighting Over a Rabbit, Martin T. Ward (1799-1874), oil on canvas. Collection AKC. A BREED APART: The Art Collections of the American Kennel Club and the American Kennel Club Museum of the Dog, William Secord, 1988. Secord, in the text near this painting, says: While the terriers are certainly cleaned up, with none of the dirt or burrs in their coats that one would expect, they are nevertheless depicted as working terriers, rather than pets. The West Highland White Terrier-type dog with the cropped ears, for instance, is shown with a wild, determined expression, his teeth firmly planted in the black and tan terrier’s ear. The object of their attention lies dead beneath them, his eyes lifeless and blood trickling from his nose on to the ground. I don’t have any early images of these breeds, but Wire Fox Terriers, and the Wire or Rough Black and Tan Terrier would have been in existence early in the century. The BT is one of several working terrier breeds to emerge along the borders of England and Scotland where terriers have been used to hunt fox, otter, and vermin for centuries. The Border, the Bedlington, and the Dandie Dinmont are thought to have a common ancestor. A soft top knot, characteristic of the Bedlington and the Dandie Dinmont, is seen sometimes in the Border along with white on the chest and the occasional white on the foot. The Border has rarely been sought out for his appearance. However, his plain brown coat and self-effacing manners in public disguise a cheerful and sensible companion for those who enjoy a terrier bred to think for himself. Note that this contradicts what I quoted above as the ancestry of the Dandie Dinmont Terrier, which grouped it with the other Scottish breeds. I don’t know what the truth is in this case. The BT can be identified in hunting scenes painted in the eighteenth century, bringing up the rear behind horses and the hounds, obviously determined to get there on his sturdy legs in time to help with the action. I haven’t found any of those hunting scenes in my research. The Lakeland Terrier originated in the Lake District of Cumberland, England near the Scottish border in the 1800’s. He is related to several terrier breeds and is one of the oldest working terrier breeds still in use today. His diverse ancestors include the now extinct Old English Black and Tan terrier, the early Dandi Dinmont, Bedlington and Border Terriers. He probably existed in extremely early form, if at all, in the first years of the century. Sealyham Terriers were developed in mid-19th century in Wales by a Capt. John Edwards, so wouldn’t have been around during the Regency. And the Airedale Terrier developed too late to use one of our books. If you find a silhouette of each breed, you can see that the body and head type of the Airedale, Lakeland, Fox (both smooth and wire), Irish, and Welsh Terriers is very similar. Early types of some of these breeds would have existed. My evidence suggests Staffordshire Terriers and Bull Terriers, although in the Terrier group now, would still be considered “crossbreeds” during the Regency. The Parson Russell Terriers and Russell Terriers have a fascinating story, but their development, as an offshoot of Fox Terriers, was in the mid-19th century. DNA testing would probably settle the questions about how the various breeds developed. I haven’t come across any information that suggests such testing has been done. For our purposes as writers, it suffices to get some idea of whether the various breeds would have existed in our time, and how they looked. Philip Hollesley carelessly promised a friend to oversee his naïve younger brother’s first essay into London bachelorhood. 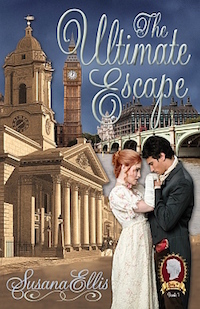 When Jasper Linton elopes with an unsuitable young woman, the last thing Philip wants to do is become involved. But he gave his word, so it’s up to him to chase down the young fool before he can tie the knot in Gretna Green. But there never was so strange a pursuit. Beatrice and Philip, chaperoned by her devious mother, discover an odd assortment of humanity is also tracking them: a rejected suitor, a debauched lord, an aging demimondaine and her aristocratic lover, a group of rowdy young bucks, and a mysterious man. 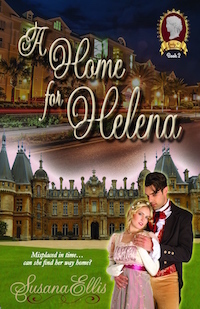 Beatrice and Philip can’t agree on anything – except the necessity to overtake Jasper and Arietta – and to fight their inconvenient attraction to each other. Listlessly, Arietta prepared to travel to Chesterfield, and entertain the good folk after they arrived there. 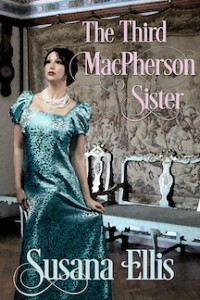 She donned her new gown and bonnet, and decided she looked more like her usual style than she had at any time since Jasper had carried her off. Except for the dark marks under her eyes, and the skin still slightly mottled from crying. Her new gown didn’t give her spirits a lift, however. What she really wished for was to stay in bed with Jasper’s arms around her, and never have to face such a cruel world again. Descending to breakfast in the common room at the inn with him, she made an indifferent meal despite his coaxing. His worried gaze followed her, and when he at last gave up and asked if she were ready to travel, she apathetically agreed. 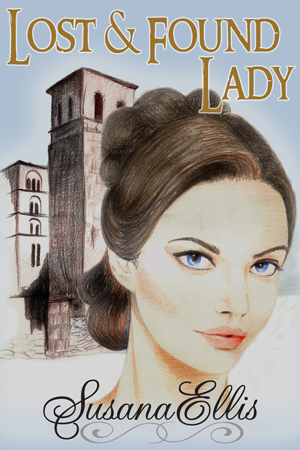 They walked out of the inn and crossed the courtyard to where their coach stood waiting. Just as Jasper gave her a hand to step up into the carriage, a small form darted from the shadows and leaped at her. She gave a small scream, and then recognized the little dog from the day before. Clasping him to her breast, she sobbed, “Oh, Rags, you’ve come back to me!” and buried her face in his still matted, still damp, not-too-clean ruff. He twisted about in her arms, trying to lick her face, as enthusiastic and happy as she. “Yes, I had decided yesterday that is the name I would give him, but when he ran away it hardly seemed worth mentioning.” She sniffed, but felt a huge grin splitting her face at the same time. 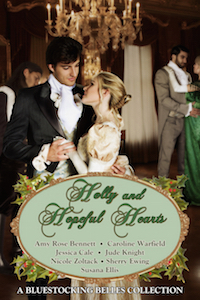 While she clutched the dog to her, Jasper boosted her into the carriage and slammed the door behind her. Rags began wriggling to get free, and she spoke soothingly to him, but he kept up the struggles. She needed a leash, but where could she procure one? Knowing it would take Jasper several minutes to reach the pie stall and return again, she let Rags free. The ribbons on her new bonnet flopped forward as she set him on the carriage floor, which gave her an idea. Pulling off the hat, she tore the ribbons loose and tied them together, then fastened the joined ribbon around the dog’s neck. He didn’t care for that either, but she placed him on the seat beside her and stroked him, speaking in a consoling voice, and he quieted. To ensure he didn’t pull his improvised leash out of her hands, she tied the loose end to her own wrist. Now all she had to worry about was whether the ribbon was strong enough to hold when Rags pulled on it. She was about to find out. Apparently, the process of getting the ribbons off her hat and onto Rags had taken longer than she realized, because Jasper’s voice came to her from immediately outside the carriage. “I’m back. Hold on to the dog.” A small pause, and he opened the door. Rags barked and growled fiercely and threw himself at Jasper, who reflexively stepped back, leaving a gap between him and the door. The dog’s leap took him to full extension of the ribbons and they parted. By this time, however, Rags had caught the scent of pies, and instead of escaping, he leaped at Jasper again, trying to procure a pie. Arietta caught the little dog, Jasper entered the carriage, and gave Rags one of the pies as he closed the door. “If he’s been starving, we don’t want to feed him too much at once or he’ll become ill. I have six, and we’ll parcel them out during the day,” he said, sitting across from Arietta. Rags had other ideas, though. He bolted down the pie, lunged for the nearest in Jasper’s hands, and proceeded to make short work of it also. He looked at the broken-apart ribbons and said, “The ribbons didn’t tear; they just came untied. They should work as a leash with a better knot.” He refastened them and ordered Cobleigh to proceed. 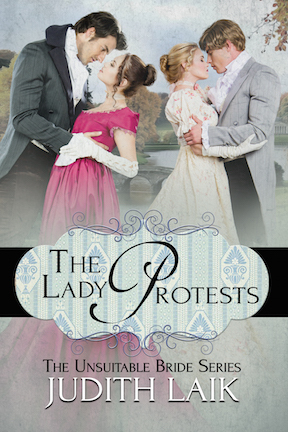 Arietta heard the coachman give orders to the post boys, and the carriage moved off. Rags whined and jumped at the window, but she petted and soothed him, and he settled down again in her lap and went to sleep. By the time Arietta and Jasper arrived in Chesterfield, they had fed Rags two more meat pies in an attempt to keep him quiet. Jasper and Arietta finished off the other two pies themselves. Rags, although still disgracefully matted and dirty, appeared to have already filled out, his abdomen bulging with food. To Arietta’s eyes, his ribs seemed to stick out noticeably less, although she could not be sure whether that was wishful thinking on her part. After the fourth pie, he finally curled up on the seat next to her and snoozed. He roused when the coach arrived in Chesterfield, jumping up with his front paws on the window edge and peered out. The coach pulled into the yard of yet another inn. 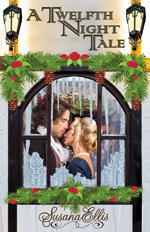 Jasper stepped down and made arrangements for the carriage to remain there while he and Arietta performed in the Market Place, although he seemed not to feel it necessary to inform the landlord of their purpose. When he tried to leave Rags in the care of Cobleigh, however, his coachman and Arietta both protested quite vocally. Cobleigh didn’t wish to be saddled with the pup, and Arietta refused to be parted from him. So, with Arietta holding the blue ribbon attaching her to the dog and Jasper carrying her violin case, they made their way to the Market Place. “Good idea,” Jasper nodded, and they began a tour of the stalls in the market. An hour later, they had found the pie seller and stocked up on pies. Finally, they found a good place for Arietta to sing. Jasper handed her the violin and took Rags’ leash so she could concentrate on playing. She set to tuning the violin. With the first notes, Rags yelped loudly and sat, tearing at his right ear with the back paw. Arietta stopped, and the dog cast an offended look her way. She hurried over to pet Rags, but the hurt expression in his eyes did not offer absolution for Arietta’s crime. Doubtfully, Arietta picked up the violin again and continued tuning it. Rags lay on the ground, a pitiful series of groans and growls issuing forth, while it appeared he tried to cover his ears with his front paws. To top Arietta’s humiliation, a crowd began to gather, laughing and pointing at Rags. She launched into a soft melody. Rags did not like it any better. The crowd grew, along with the laughter. Nearly crying now, Arietta bravely kept playing. Rags continued making pathetic sounds as if he were being tortured. “Ow-wow-wow-grrrrr-uff-ow-grr-wow-wow-grrrrr-uff!” He apparently had not found a way to cover both ears with his paws at the same time, so he twisted from side to side, placing a paw over his left ear, then the right. “Try just singing with no accompaniment,” Jasper suggested. Fortunately, Rags did not seem to mind her voice quite so much. Although he turned her back to Arietta and lay in a position that indicated disapproval, he at least did not express it vocally. Arietta sang more strongly, noticing gratefully that the crowd lingered, even without the hilarious sight and sound of the music-critic dog. “While there’s breath in my body, he’s the one that I love still,” she finished, looking at Jasper. She took some comfort from the fact that her voice had returned to normal, all trace of her cold gone. And even more that it seemed despite what she felt was the ruin of her performance by Rags’ adamant displeasure, it appeared a good many people had contributed to the pile of coins in the violin case. Jasper again put them into his purse, packed the violin away, and gave an arm to her to leave the square. I live on a mini-farm near Seattle with my husband, daughter, some horses (only two are ours), two cats, and a number of Collies — we’re a dog show family. Our vintage farmhouse needs constant upkeep, which we can barely keep up with, since it always needs new paint or new fences or…Luckily the most recent thing we repaired is the plumbing, so that’s working pretty well these days. With us living out in the country, we experience frequent power outages. There’s nothing more romantic than huddling under blankets in front of a cozy fire in the fireplace, with more blankets blocking the drafts from the other rooms in the house. The downside is that without power the well doesn’t work, either. My husband and I like to get away as often as we can, taking off for a few days at the ocean or the lake. I usually bring my laptop with me on these excursions, working on whatever my current writing project is. I love to travel to more faraway places also. Our big adventure this year was a family trip to my husband’s birthplace, Estonia with all three of our children and two of the grandchildren. We visited beautiful places all around the country and had a couple of gatherings of relatives. We received the most amazing welcome from them. I know now what it’s like to be treated like royalty! My favorite destination, though, is England. My most recent trips there, in 2003 and 2005, were with groups equally fascinated with the Regency period, and we visited many sites with associations to that time. Heaven! There’s nothing like actually seeing the locations where my stories took place, even if altered to varying degrees by the 200-some years since those events happened. As a bonus, the gift shops at many of the museums and historic sites have more lovely books that I would never have come across at home!